Who doesn’t love Cannoli? I mean really! They’re a sweet fried dough filled with a luscious creamy sweetened ricotta filling. *swoon* You all know my weakness for sweets and this is no exception. I literally had to stop myself from eating ALL of them when I made them this week. Now to make these you will have to have Cannoli Forms . But fear not, luckily they’re fairly inexpensive, and I know you wouldn’t let a little thing like ordering some stop you from making Cannoli ; ) I only have four so I have to make mine in batches. 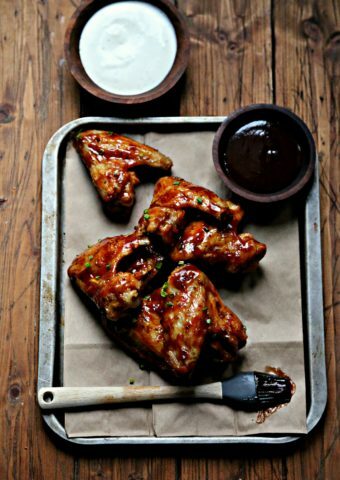 But hey, I’m willing to do a few batches to make these babies. You’ll be happy to know that the fried Cannoli will keep for about a week in an airtight container. I myself have never had any last quite that long, but hey, maybe you have more willpower than me ; ) I recommend filling them right before you’re going to serve them. This way your shells will stay nice and crisp! Ah bliss! Now the filling, that can be whatever you like. If you like whip cream, put that in. If you don’t like it as sweet cut back on the powdered sugar. It’s your filling! Do your thing! I decided to grate my chocolate this time instead of putting in chocolate chunks or mini chocolate chips. Again, it’s YOUR Cannoli, do what you like. If you don’t like zest leave it out. It’s going to be delicious either way. I know you may have heard in the past that Cannoli are hard but they’re not really. I mean it! You’re going to make a dough, your mixer does all the work, you’re going to put it in the fridge to chill. You make a filling, put it in the fridge to chill. And then if you don’t want to make them until the next day, so be it! When YOU’RE ready, roll it out, fry it & fill it! Easy peasy right? Now what are you going to fill yours with? Into your stand mixer, with your paddle attachment cream your butter & sugar together until light in color & creamy. Add in ONE egg, mix together. Add in vanilla extract, wine until well combined. Add the salt & GRADUALLY add in the flour until a dough ball forms. Switch to your dough hook attachment & knead until it’s smooth (tacky but not sticky) approx 6-8 mins. 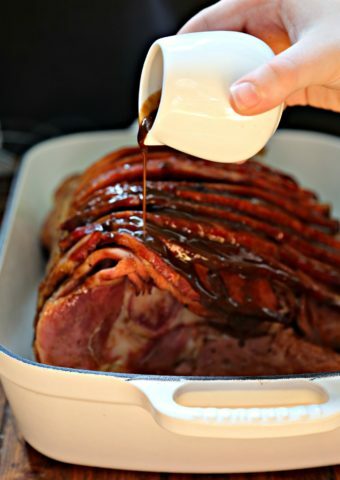 Cover & place in the refrigerator for approx 2 hours. WHILE dough is chilling, make your filling. Into your stand mixer with the paddle attachment mix your ricotta cheese until nice & smooth. Add in your powdered sugar & mix well. Add in chocolate shavings & mix well. Add in your zest and mix together. Place in the refrigerator to chill until you are ready to fill your cannoli shells. 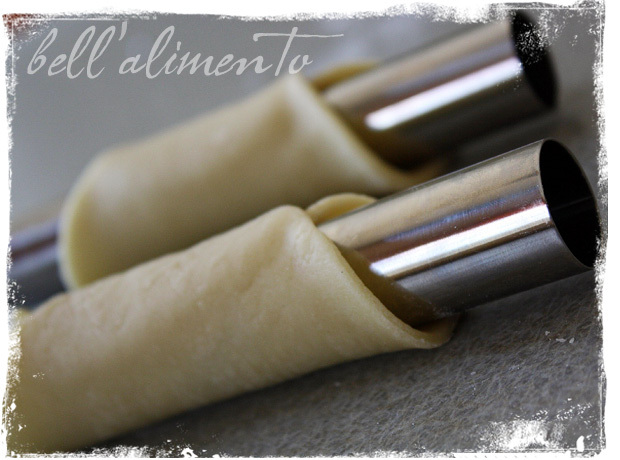 Take your Cannoli dough from refrigerator and place it onto a lightly floured surface. Into a large enough pan to fry, place your oil over med-high heat until it reaches 350 degrees. WHILE the oil is heating, roll out your dough. It needs to be fairly thin about 1/16 thickness. Your dough circles will depend upon the size of your forms so use your judgement. Using a large circular cookie cutter cut your dough into circles. Place the circles around your Cannoli Forms. Seal the edge by brushing on a little of your beaten egg wash. Continue assembling. When the oil is at 350 degrees, place Cannoli Forms into the oil and fry until golden (only 1-2 mins) CAREFULLY remove Cannoli with a skimmer and place onto a plate lined with paper towels. Allow forms to cool COMPLETELY before trying to remove them. Once shells are cooled… Place your chilled filling into a pastry bag & pipe into the shells. Garnish with a dusting of powdered sugar! 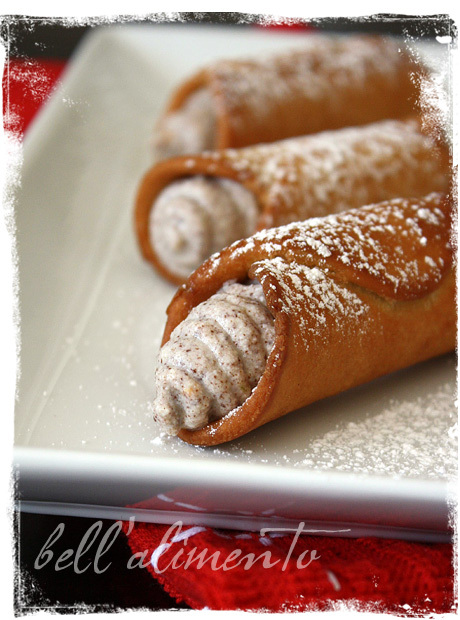 Ooooh… Have I ever told you how I absolutely adore cannoli?! YUM. I have made homemade cannoli a few times now. Totally worth the effort. Next time I’ll give your recipe a try! Beautiful, paula!! how many forms do you have? All about the cannoli. Your cannoli’s are making me want to call my great aunt for some of hers! 😉 And, I use the molds for many other things…so they can be worth the $ – Tuiles, molasses chews, etc. I bought a set of forms about 5 years ago, and STILL haven’t made cannoli. Need to do it soon! I haven’t made cannoli in years, but looking at your perfectly formed cannoli makes me want to have some. Canoli is so delicious! I love these! Yours are so beautiful. 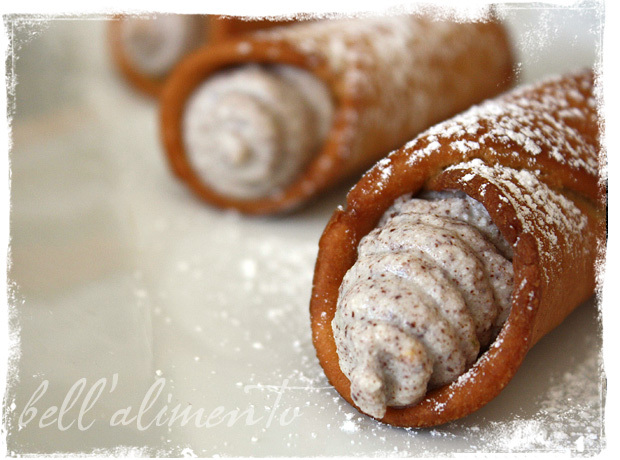 I never eat cannoli unless I am in NYC or Boston, but I just might have to make my own with this recipe! Years ago I had a Sicilian boyfriend-he was a jerk but boy could his mom cook. She taught me how to make cannoli using a broom handle for shaping the shells. 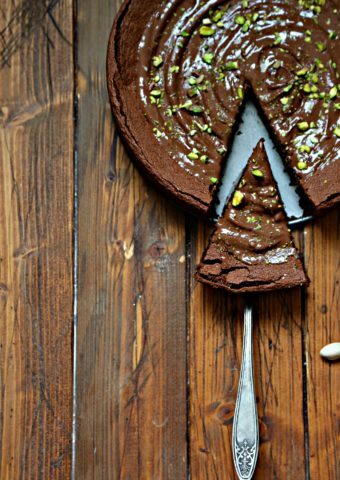 I think she put amaretto in her filling but otherwise your recipe looks very similar. Yum! 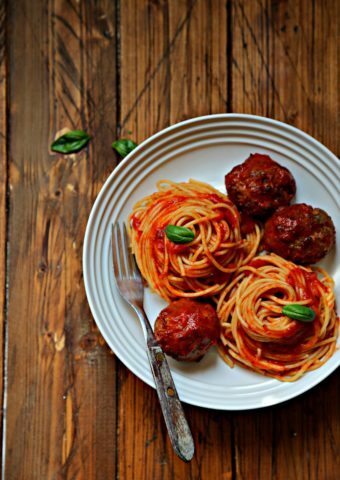 Do you think you could use a pasta machine to roll out the dough? I am thinking it would be easier than trying to do it with a rolling pin. And I need a reason to use the dang thing! Ciao Brandi! You absolutely could! That’s a great idea! Wow! I love these but have never tried making them. I will have to give this one a go! WHY do you and Pioneer woman post things like these?! why, oh why? Wait, I know… you are both skinny and have no pity for those of us who vow to keep the sweet tooth under control by not bringing any into the house and so you show us how to make them! Yes! Cannoli are the bomb! There’s a great place in the North End of Boston that does the best I’ve ever had (ok, I’m sure there’s more than one, but there’s only so much time…). I’ve never made my own, I bet those would be best of all. I like your recipe, pictures and website .. In fact I like everything about your blog. Love your recipe. Easy to follow and I love the pictures. Well spring is almost here and I can’t wait to make these and fill them with and yummy sweet and sour cream topped with fresh berries. Oooh, those are gorgeous! I’d be so afraid of messing up the shells when frying though, i think I’d have to build up my frying skills first. Also, I love the personality you put into your posts, incredible! Your cannoli look so perfectly fried! Great job over the DBers! Every time we visit an Italian restaurant, I always get a cannoli, but I’ve never tried making them – now I must! thank you for the inspiration! 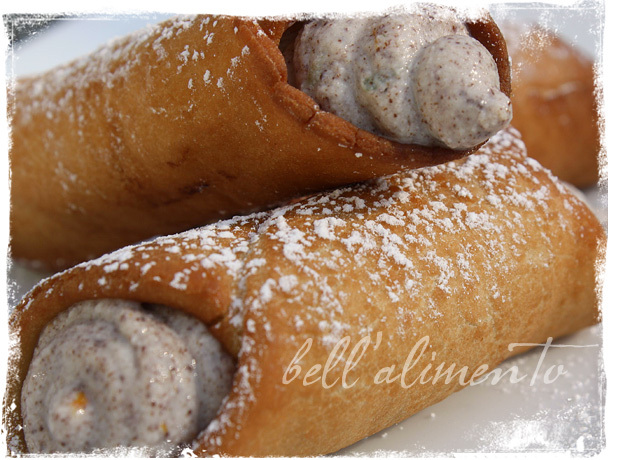 Great idea for my next party…How many cannoli this recipe makes? Cannoli’s are sooooo good and these look awesome! Thanks for sharing! These look so good, I have never thought of making my own, when I get a craving, I get them at a local bakery. Yours look amazing, I’ll have to put them on my list to try. I forgot how much I loved cannoli’s until you just reminded me! I really hope I have the patience to make these! Thanks for sharing! These look amazing and I love how you used an orange filling. I want to make these ASAP as soon as I get those canolli forms. This is a fabulous post – I am super impressed! Chocolate and orange just turns me way on!!! 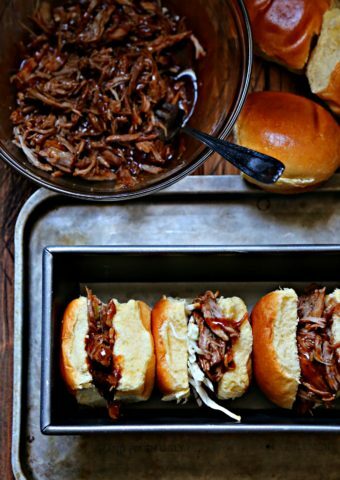 these look beautiful – great recipe! Gorgeous. I have no forms and not sure if I will ever make them myself. But I love to read and drool over it though. Cannoli is one of my favorite! 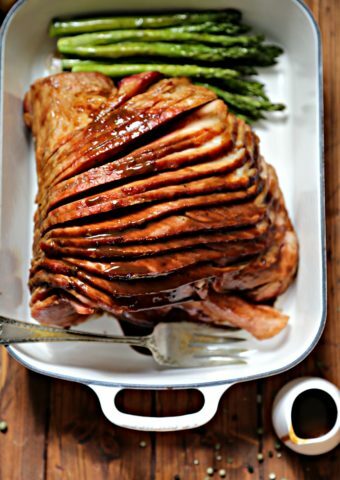 I love the addition of juice to your filling – it looks amazing!